Breath is the source of life. To breathe well is to live well. How often do you consciously feel your breath? When you occasionally do, doesn’t it feel amazing? Feeling the pranic energy going in and out of your body is an incredible experience. Here are 5 ways of doing it. Check them out. Before that, let’s find out about the yogic science of breathing called Pranayama. Pranayama is the yogic practice of controlling your breath. It is a Sanskrit word that consists of two words – Prana and Yama. ‘Prana’ means breath, and ‘Yama’ means control. It is a process of conscious breathing that emphasizes on deep breaths. Over time, your breathing tends to become short and shallow, which does no good for the body. There is enormous healing energy in the air we breathe. The more we take it in and fill in our lungs, the better. Pranayama is a way to do that with certain specific rules. You can control the life energy within you through Pranayama and attain a healthy body and mind. The yogic sage Patanjali mentions Pranayama in his text ‘Yoga Sutra’ as an ideal means to attain Samadhi, the highest state of meditative consciousness. It takes energy into your body and flushes out the waste from your body and mind. The Pranayama process involves retention of breath in the body along with inhaling and exhaling. Retention of breath helps in increasing the energy of your body and distributing it throughout your body. Sounds exciting and powerful, isn’t it? Read on to find out how to do it. Pranayama consists of a set of breathing techniques that alter the breath to produce certain beneficial results. Following are some of them. Bhastrika Pranayama or the Bellows Breath is a powerful yoga breathing exercise. It is a cleansing kriya that clears your nadis, nostrils, and sinuses and prepares you for deep breathing. It is also perfect for energizing your body. So, the next time you feel dull and lifeless, instead of reaching for a coffee, try Bhastrika Pranayama. Sit in the Lotus Position with your back straight. Take a deep breath through your nose, filling your lungs with air. Then, breathe out in the same manner. Do this a few times to settle your head. Do a round of bellow breathing, following it up with natural breathing, and then go for the next round. 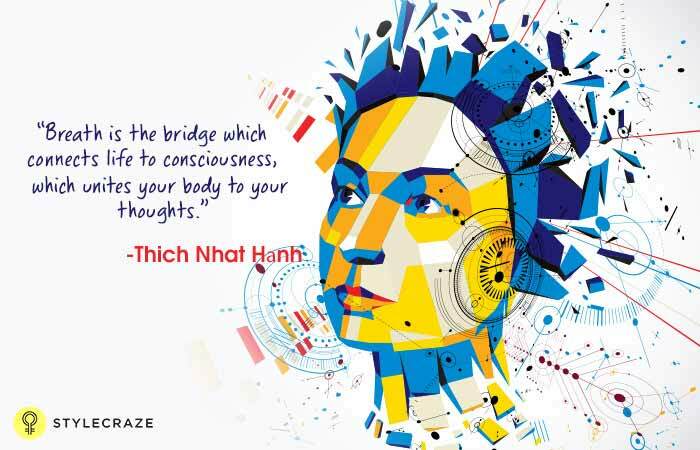 As you breathe naturally, observe the sensations in your body and mind. Do at least 3 rounds of Bhastrika and end the session. 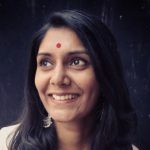 Kapalbhati Pranayama or the Skull Shining Breath is a breathing technique that will give you a shining head and a bright intellect with regular practice. It is a ‘shat’ kriya that flushes out toxic air from your body. The word ‘Kapalbhati’ means shining head. ‘Kapal’ means forehead and ‘Bhati’ means shining. Let’s check out how to get one below. Inhale deeply through your nose, filling your lungs with air. Breathe in calmly and consciously. Pull your stomach in towards your spine. Place your hand on the stomach and feel the muscles contracting. Bhramari Pranayama or the Bee Breath is named after an Indian black bee called the Bhramari. It is a simple breathing technique that can be practiced anywhere as a quick solution to de-stress. The exhalation during this process is similar to the humming of a bee, which explains its name. 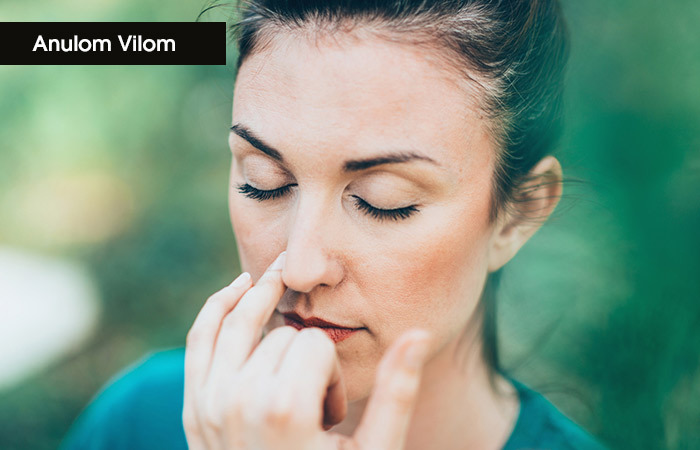 Anulom Vilom or Alternate Nostril Breathing is a technique through which nadis, energy passages in your body, are cleared. Through Anulom Vilom’s alternate breathing pattern, the right and left nadis are cleansed, stimulated, and balanced. Let’s check out how to do that. Sit in Padmasana, Sukhasana, or Vajrasana. Keep your back straight and your chin slightly tucked in towards your chest. Close your eyes. Place your left palm on your left knee and let it face upwards in the Gyan mudra. Lift your right hand and place your right thumb on the side of your right nostril. Inhale deeply, slowly, and silently through your left nostril. After inhalation, press the little finger of your right hand on the side of your left nostril. Exhale through your right nostril – slowly, deeply, and silently. Then, inhale through the right nostril. Press the side of your right nostril with your right thumb and exhale through your left nostril. That completes one round of Anulom Vilom. Do about 5 rounds initially, and then increase it as per convenience. Bahya Pranayama or the External Breath is named so as it involves retaining the breath after exhaling. As the breath is kept out, it is called the External Breath. ‘Bahya’ means external. It is a three-step process of inhaling, exhaling, and retaining the breath. It is a vital breathing technique. Keep reading to know how to do it. Hold your breath there while you pull your stomach up and drop your neck towards your chest, while lifting the chest to the chin. Hold on to this position for 5 to 10 seconds. Then, inhale deeply and release your chin and stomach. Breathing is a normal everyday occurrence. Until it is taken away from us, we don’t understand its importance. It feels traumatic when you block your nose and mouth from breathing for a few seconds. Breathing provides the life energy that your body needs. Do it right with the breathing techniques mentioned above to awaken your body. Get started! Breath makes you aware of your body. It keeps your body together. Your body runs on the energy and life provided by the breath. How does Pranayama help attain enlightenment? Pranayama cleanses your internal system and makes you pure in thought and action. It will lead you to realize your true identity, thereby helping you connect with the universal energy and feel enlightened.